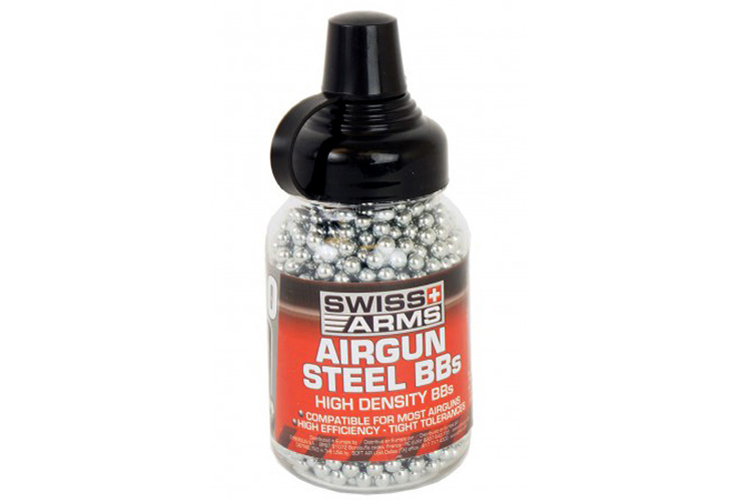 Comments: The Swiss Arms Steel BBs are a force to be reckoned with. 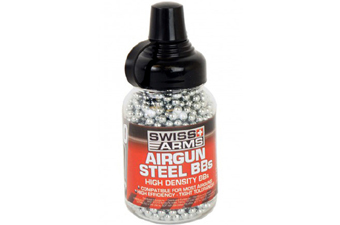 These 4.5mm projectiles are designed to fly through the air with accuracy and precision. 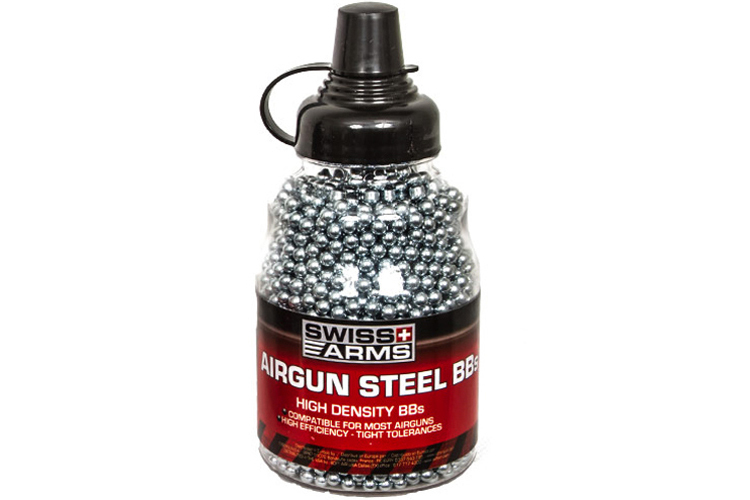 Great for plinking, backyard target practice, and casual shooting sessions. 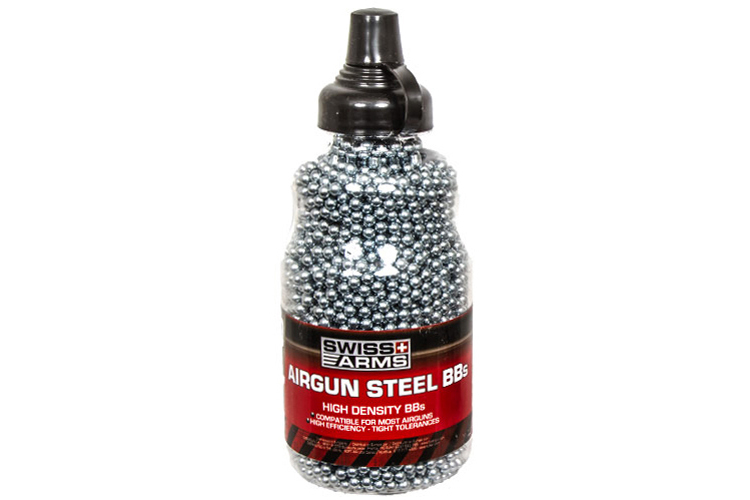 Bottle comes with 1,500 rounds.